Miramichi offers two downtown districts, a number of malls including Northumberland Square, Bridgeview Plaza, Chatham Shopping Centre, Douglastown Plaza, Miramichi Mall, and box stores along Douglastown Boulevard. Shop Miramichi for a full selection of goods and services. Downtown Miramichi Historic Chatham Business District – On January 1, 2000 the Province of New Brunswick officially designated the Water Street Business District as the province’s first historic district. Historically, the Water Street area bustled with shipping, shipbuilding, lumber industries and commerce. The enduring spatial quality and architectural character are reminiscent of the past. Stroll the streets and enjoy a unique shopping experience. Take advantage of four-star accommodations, excellent cuisine, and all your shopping amenities. Shop, Eat, Work & Play in Downtown Miramichi. “A great Place to Live….A Great Place to do Business!” Call 506-778-0900. 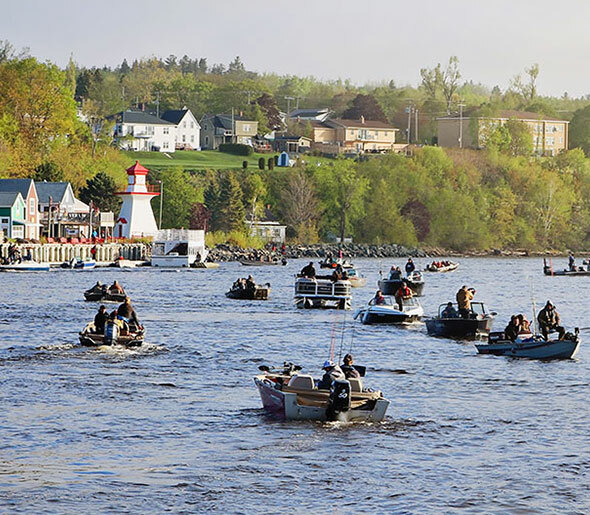 Downtown Miramichi Newcastle Business District– Situated on the bank of the famous Miramichi River, Newcastle Business District is the hub of activity in Downtown. Specialty shops, dining, and entertainment are offered with the friendly atmosphere and hospitality the region is renowned for. Stroll the boardwalk at Ritchie Wharf or visit the Farmers Market every Friday. Check out one of the many annual festivals hosted here. Shop, Eat, Work & Play in Downtown Miramichi. “A great Place to Live….A Great Place to do Business!” Call 506-622-2244.